The political decisions made by the founding fathers were crucial to the success of the early republic. But the economic decisions they made were just as pivotal, ensuring the general welfare and common defense of the United States for decades to come. "Founding Choices" explores these economic choices and their profound influence on American life, westward expansion, and influence abroad. Among the topics covered are finance, trade, and monetary and banking policy, with a focus on the factors guiding those policies and their end result. "In "Founding Choices", Douglas Irwin and Richard Sylla have brought together an impressive and accomplished list of economic historians to examine the long-run importance of the economic decisions made in the Founding Era, decisions which helped foster sustained economic growth and development in the United States. There is a tremendous amount of useful and important information contained in these essays." (Mark V. Siegler, Sacramento State University). 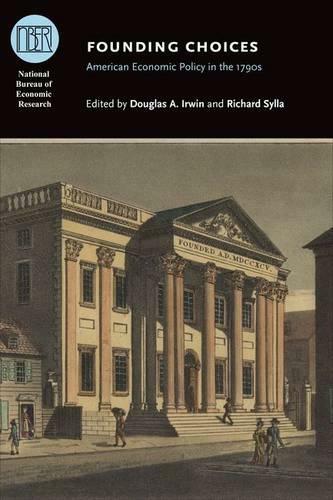 "In Founding Choices, Douglas Irwin and Richard Sylla have brought together an impressive and accomplished list of economic historians to examine the long-run importance of the economic decisions made in the Founding Era, decisions which helped foster sustained economic growth and development in the United States. There is a tremendous amount of useful and important information contained in these essays." --Mark V. Siegler "Sacramento State University "